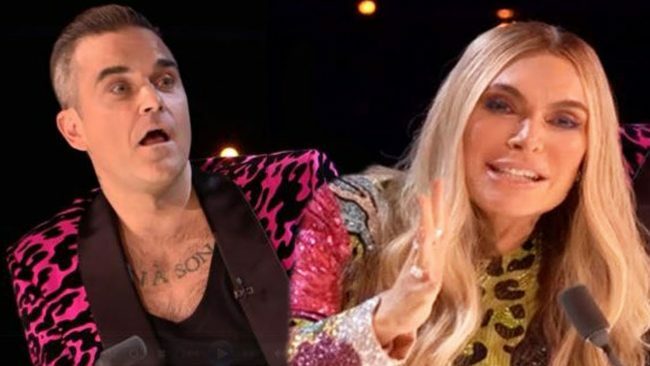 Robbie Williams has announced on his Instagram that his wife Ayda Field and himself will not be a judge on the next season of X Factor. The former Take That singer wrote on Instagram that the couple’s relationship with Simon Cowell is not over, and they would continue to work with him on new projects. Williams and Field joined X Factor in 2018. Fans initially did not think Field was an appropriate judge for the talent reality show. Field appeared on United States television and had no experience in the music industry. Cowell disagreed. At the start of the 15th season launch, he said Field was a revelation, and she was brilliant on the show. He also explained that a person does not have to be a music manager or artist to be a judge on the show. What was more important was good instincts, a liking to people, and good taste. Continuing, he said Field brought to the panel a different perspective of the music business because she has seen it differently. Field has felt all the years she has spent being with Williams gave her the experience. Williams took the place of Louis Walsh who left the show after 13 years. At the time, he said he hoped the X Factor would help him obtain more television jobs.